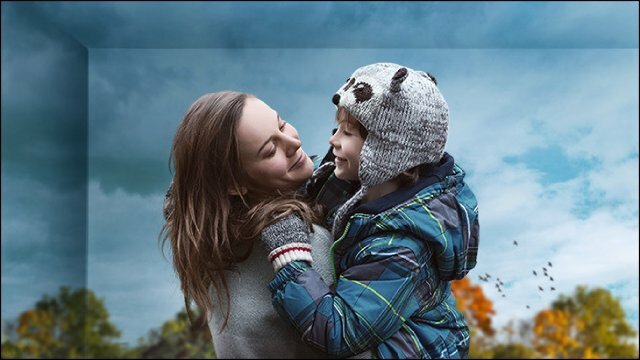 Room is a movie wrapped in sublime subtlety by Brie Larson and Jacob Tremblay. Writer Emma Donoghue’s story unfolds in two distinct acts, each with an entirely different flavor as Larson and Tremblay make the sudden switch from seven years of captivity in a shed to the real world outside. The premise alone is a daunting acting challenge. Ma (Brie Larson) has been held prisoner for seven years by a nasty psychotic in a windowless shed in his backyard. Two years into that time slot, Ma gave birth to Jack (Jacob Tremblay), son of the captor who comes to her bed at night. The story opens on Jack’s fifth birthday. As we watch the two move around the confines of the tiny room, Ma and Jack, with quiet restraint, show us the chilling reality of their captivity. We begin to realize this boy has never seen a tree, a road, a field, a town, or even another person. We learn too that his mother has been struck by the overwhelming reality that at five, she must take the awful risk of getting him out. She begins to describe to him what is outside their locked door: the world. By that time, the movie has won us entirely. We are there; and we are mesmerized by the way Ma describes the world that she so hopes Jack will see. How do you describe that to a child who has never seen one single piece of it even for a second? A tree that sticks out of the ground and blows in the wind? A house with rooms and doors that open to other rooms and then to the outdoors? Emma Donoghue’s dialogue is so delicate and true that we are struck by how much we take for granted in our lives. We have absorbed the world from the moment we opened our eyes as babies. What will Jack’s reaction be? By the time Ma has prepared her son for a possible, but uncertain escape, we in the audience are still caught in the awful stress of the risks involved in their plan. I’ll give away no more than to say that the tension of this second half equals the emotional revelations of the first. When it’s all over, you may well be, as I was, in a state of anxiety that can be explained only by the superb efforts of all involved. Any one person or event could have broken the mood and that never happens. Donoghue’s dialogue, Lenny Abrahamson’s direction, small but crucial performances by Joan Allen and Tom McCamus as a couple, and Amanda Brugel as Officer Parker. The only person who shatters the mood is an intrusive TV interviewer (Wendy Crewson) whose neck you will want to wring. But even that has a purpose. Writer, director, and actors give remarkable support to Brie Larson and Jacob Tremblay who create two principals you will never forget. I can promise you that. This review was posted on January 23, 2016, in Drama. Bookmark the permalink.